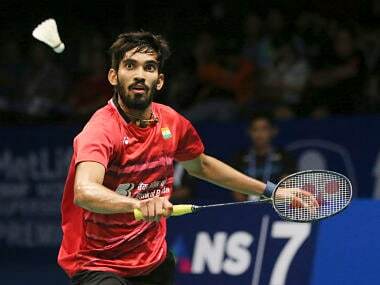 New Delhi: Close on the heels of Singapore Open final, Kidambi Srikanth made his way to yet another summit clash at Indonesia Super Series Premier and the Indian ace says he is shocked to achieve the feat and it will take some time to sink in. 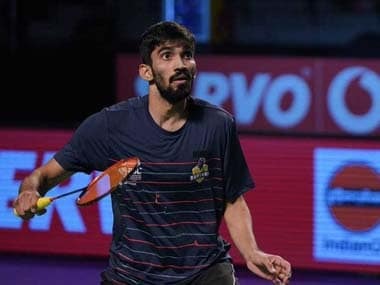 Srikanth defeated World No 1 San Wan Ho of Korea 21-15, 14-21, 24-22 to set up a clash with Kazumasa Sakai of Japan, who defeated another Indian shuttler HS Prannoy. "Coming into the tournament, I never thought really that I will reach the finals again. I am shocked to be playing back to back finals. It will take a while to digest it and then prepare for tomorrow," Srikanth told PTI. Talking about Saurday's match, Srikanth said: "It was a tough match and I was prepared for a long match. Whenever I play him, it is always a long match and he has been playing well of late. He is the world No 1 now and you have to give him respect. "I won a lot of points and also lost points when my smashes went out but that's the way I play, it is my main scoring option. It was a very close match. I was lucky there in the last point. It was a nice game. I am proud. "I was in comfortable position in the second game also but conditions changed and I lost track. I made simple mistakes and it changed the complexion of the second game but I am very happy to make a comeback in the third game," he explained. Asked about Sunday's opponent, Srikanth said: "He has been playing very well, he has beaten some of the top players and had a really good run from the qualifiers. I really didn't think about the finals but now that I have won, I will go back and think about it. "I think I really had a bad injury after the Olympics. I pushed really hard when I came back and I shouldn't have done that. It was tough. Losing at India Open was a big thing, I pulled out of Malaysia and that one week training helped me to play well at Singapore. "I want to thank my coaches. Mulyo (Handoyo) has been doing a great job. They changed the whole schedule and it is really helping us." 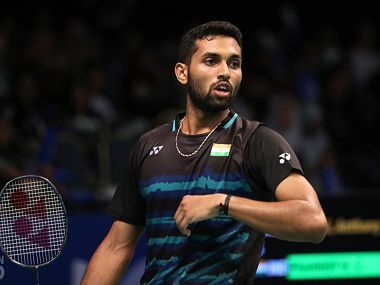 Prannoy, who stunned three-time Olympic silver-medallist Lee Chong Wei and Rio Games gold medallist Chen Long in the last two days, suffered a heart-breaking 21-17, 26-28, 18-21 loss to Sakai today. "I am very disappointed with the result but that's how the sport goes and can't really complain. I probably could have taken the second game. I had 4-5 match points. I think probably I could have taken more chances in second. "Overall, I didn't play badly. Probably, I didn't adjust to the conditions today. It was going out a lot from the other side. I wasn't good in the second half," he said. Prannoy felt that his opponent was very fast and he took time to adjust. "He was really fast and I wasn't moving quickly. Towards the end I was getting the feel of the shuttle better but I was really late in coming back at 17-12 and fight it out. "He is a tricky player. All Japanese player are quick, he was little better in the net today and his net dribble was coming through well for him and all the credit to him, he deserves to be in the finals. "I am happy with the way tournament went, lot of positives, lot to learn and I can go back and work on couple of aspects," said Prannoy.